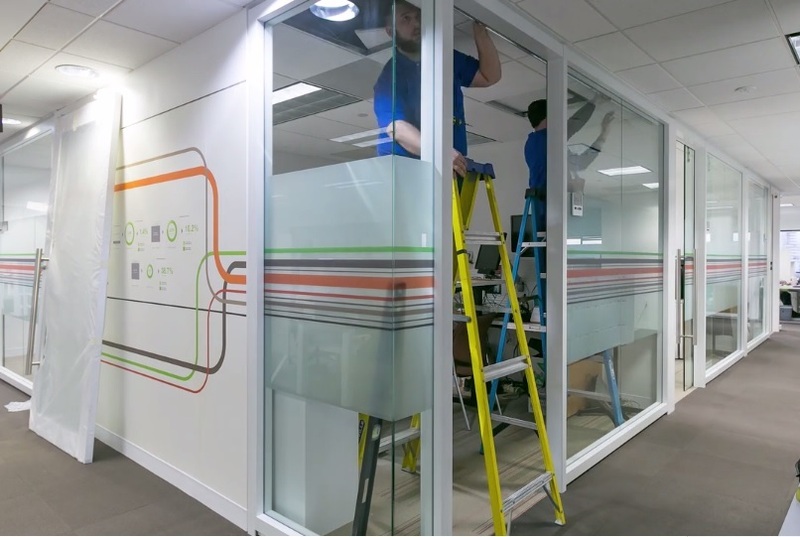 American Office and KI worked together to complete a demountable wall reconfigure case study for TSA. During a regular 8 hour work day American Office and KI completed two reconfigures of existing KI Genius wall product to show the flexibility and modularity of a truly movable wall. The first area includes a two office reconfigure shortening the depth of the offices and relocating modular power. The second area includes changing the door type and door hardware to easily accommodate changes needed for security reasons. This reconfigure was completed during regular business hours in approximately 7 hours with a small crew and minimal new product (only as required or requested by the client).